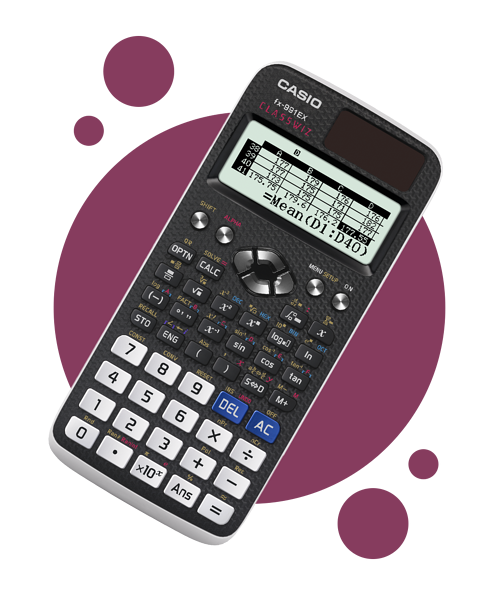 The fx-991EX is the most advanced scientific calculator available. Advanced functions include calculus, probability distributions, equation solvers, matrices and vectors, and spreadsheets. It uses ClassWiz technology for intuitive menu-driven operation and easy access to results. 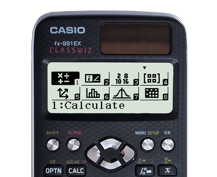 The fx-991EX offers a high-resolution LC display with 192×63 pixels, four times higher than previous calculators, a faster processor and double the memory. Evaluate first derivatives and definite integrals for any single-variable function. Calculate statistics such as mean and quartiles from lists. Calculate paired-variable regression. Solve linear equations in up to 4 unknowns. Answers are given as fractions where appropriate. Solve quadratic, cubic and quartic equations. Answers are given in surd form where appropriate. Calculate probabilities for Normal, Binomial and Poisson distributions. Evaluate matrix arithmetic, including inverses, up to order 4x4. Evaluate vector arithmetic, including scalar and vector products. 46 page user guide for the fx-991EX. The ClassWiz Emulator is a software program that emulates the operation of the fx-991EX calculator.